You will receive the optimal technical solution for your requirements considering economical and ecological aspects! Our entire day is organised by time - dial and hands of a clock are helping us to arrange everyday's life and to provide stability when planning future steps. Time enables us to put events and experiences in a logical order because time is uni-directional for our perception. We are not able to stop or reverse time - it is streaming from the past to the future and is distinguishing cause and effect. As the leading European manufacturer of time synchronization solutions hopf Elektronik GmbH has summarized the process from occurence to distribution of time in the whitepaper "What is time" below. 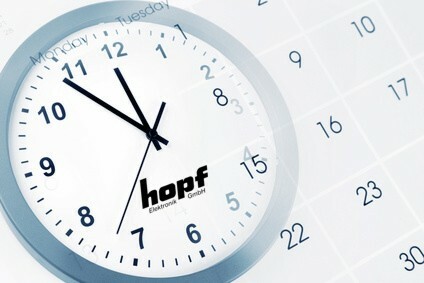 by downloading the hopf whitepaper "What is time". hopf Elektronik GmbH maintains a complete process flow, starting from development further to product design up to direct selling of our high-quality-products. Development processes, manufacturing and quality assurance for the whole product range are established in Germany in accordance with the relevant regulations and standards. 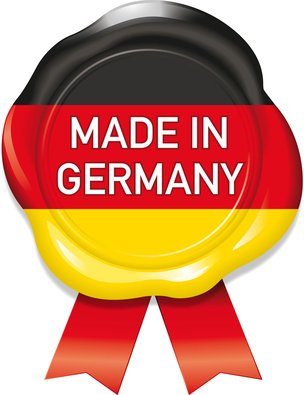 All our solutions meet the internationally accepted quality mark 'MADE IN GERMANY'! The company hopf Elektronik GmbH is approved and registered as an exclusively commercial manufacturer. All products manufactured by the company hopf Elektronik GmbH comply with the requirements for the restriction of the use of certain hazardous substances according to the Directive. here you will find our statement regarding Conflict Minerals for download. Please understand that we will not fill out individual questionnaires due to the large number of requests. We hope to provide you with all the necessary information with this declaration. here you will find our statement regarding radioactive substances for download. We hope to provide you with all the necessary information with this declaration.